Here is something new and fresh. On my blog a new meme. Each line has got six words. Exactly six words only, no more. Being German, English a foreign language. 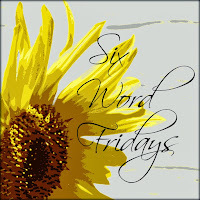 Six Word Fridays – with a prompt. our blog post around is * fresh *. new photo taken only last week. just a New Jersey winter beach. Sandy Hook beach in thick ice. 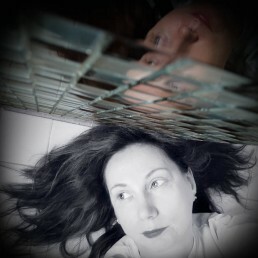 Check out Adrienne’s website and some other Six Word Fridays blog posts. I’ve seen six word Saturday around before but not six word Friday. Love finding out about new things… Love that shot – the way the rocks are covered in ice and the icicles are hanging down. Really cool. True – the S and S, right? I am not sure how I stumbled on to Adrienne’s blog and prompt, but it is really neat. You should check it out. Sandy Hook with all the ice was really cool. I guess I should have a bad conscience for dumping so many ice photos on here lately – and there are more! Beautiful image! I understand why you want to stick to six word captions; however, you did really well with your ‘composition’. Six words each line and an amazingly fresh looking image! The icy rocks could also stand as an image for something immaterial that has been very alive and fluent only recently and now is frozen and locked. Thanks, Michael. I actually have one pic that I haven’t processed yet of an entire bush frozen over – so cool! Love this image – captivating and beautiful! Just amazing! It’s so rare to see frozen sea water! Thanks so much for joining in the link up – I LOVED what you wrote! I’m trying to push myself to write more this year (in general, and especially on Fridays!) – I have loved writing in this format for about two years now…Hope you’ll be back!! Thank you, Adrienne. I really appreciate your encouraging words. I was just trying to explain – in 6 words / line – what was going on with this post, since it is the first one of it’s kind. And yes, I intend to be back! Beautiful; image, words, ice and sea. Hahaha – you got the 6 words, down (to the comment), Miriam. Thank you. hello there neighbor, i live in new jersey as well!! i don’t drive and i have been begging the hubs to take me to sandy hook as i have heard there are about 100 seals there. that they stay until march. your image is awesome….i am sure this has melted by now with the milder temperatures. many thanks for stopping by!! Hey there, Debbie. Always great to ‘meet’ someone else in the Garden State. Oh, your hubby should have taken you to the iciness of SH – it was awesome! I really couldn’t stay long because of work and because it was so cold, but it was soooo worth it. And yes, I assume most of it has melted by now. I ready this morning about the seals and would have loved to see them. Just the other day I read about NYC cruises to where the seals are around here during winter. Well, I hope to be seeing you around.